I’ve always enjoyed reading Kathryn Freeman’s books before and this was no exception. We meet Abby first as a thirteen year old at her mother’s funeral then later as a young woman going for a job interview at Crumbs biscuit company. In the intervening years she has put on her life on hold to help her dad bring up her four younger sisters. Life is never quiet or dull in the Spencer household but it hasn’t given Abby a whole lot of time to follow her own dreams. 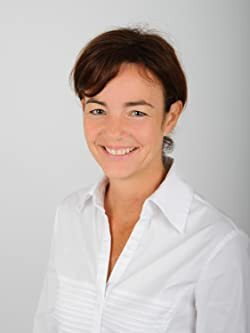 She arrives at the interview in a bit of a tizz, covered in crumbs from her young nephew George’s rusks (very appropriate), trips over her handbag and babbles a whole load of nonsense. Not quite the first impression she might have wanted to give her potential new boss, handsome managing director Doug Faulkner! One thing I enjoy about Kathryn Freeman’s novels is that she writes about really relatable characters, You may not have been in the same situations but there is always something that you will recognise in them. The story of a personal assistant falling for the boss may not be a new story but it’s no less enjoyable, especially as Doug has secrets he is keeping from Abby. I took to Abby from the beginning of the book. She has dedicated herself to her sisters and my goodness they could be a handful at times! I had to feel for her poor father, surrounded by all these young women with only young George to redress the balance – and Pat the dog of course. There was a lot of noise in the Spencer house but there was a lot of love and laughter too. I often found myself chuckling at some of the many times Abby let her mouth run away with itself , saying out loud exactly what she was thinking. It was great to see her grow as a character over the book as she finally was able to show her potential and make the most of opportunities. I wasn’t quite sure what to make of Doug at first and was slightly worried he might be a bit of a Christian Grey character! However, despite perhaps sharing some of Mr Grey’s talents (! ), he was a much more caring character though tormented by a secret he felt compelled to keep and feeling very trapped. 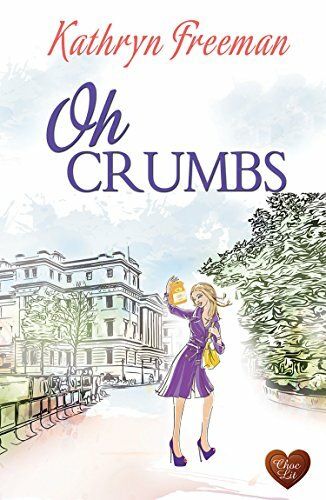 Oh Crumbs was a thoroughly enjoyable read which had me laughing but also moved me on occasion too. It was a really charming romance story which left me feeling very uplifted. It would be good to read more about Abby in the future as I’d love to see how things develop both in her personal and professional life. Started reading this one last night, and loving it already! It’s such a great read, but then you always know you’re in good hands with a ChocLit author. Well they did have some things in common…. Really enjoyed it Kathryn and pleased to be given the opportunity to read it.